IL GRANDE BLUFF: ECCOVI UN PAIO DI DRITTE AGGRATIS...e poi...Caxxi Vostri!! ECCOVI UN PAIO DI DRITTE AGGRATIS...e poi...Caxxi Vostri!! 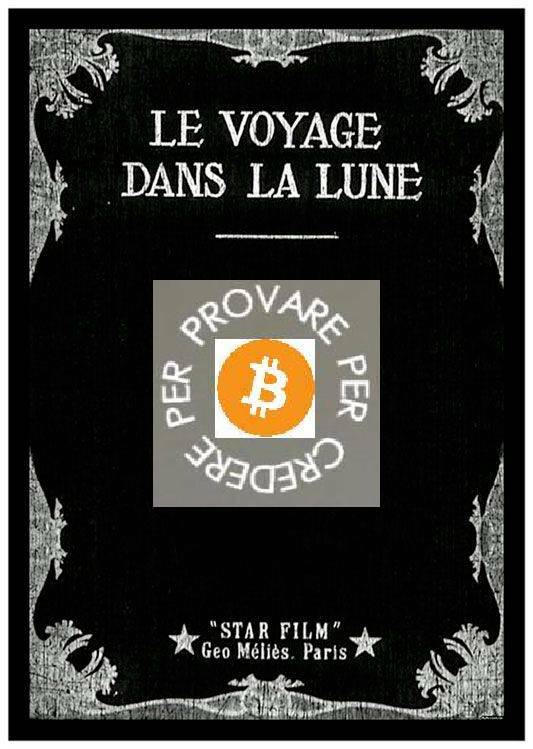 perchè NON poteva ANCORA permettersi DI DIRE NO! The third quarter earnings season came to an end today now that Wal-Mart (WMT) has released its numbers. Of the 2,268 companies that reported this season, which started in early October, 58.6% beat earnings estimates. Below is a chart comparing this quarter's beat rate to past quarters since 2001. 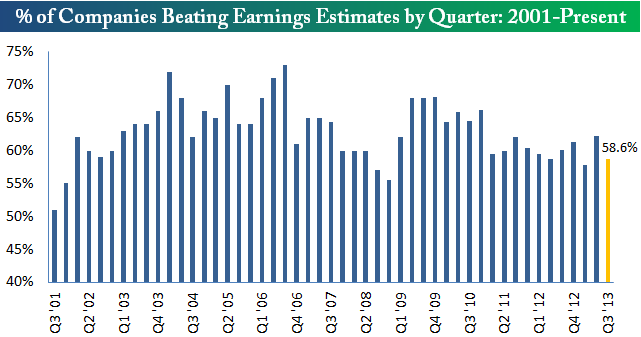 Since the bull market began in March 2009, this is the second worst earnings beat rate we've seen. Only Q1 of this year was worse. Coming into this earnings season, we had our eyes on two earnings-related streaks. 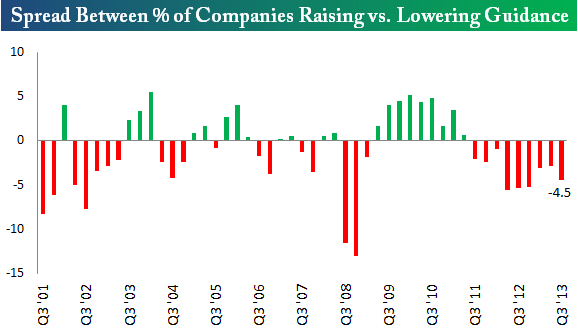 The first was the 8-quarter streak of more companies lowering guidance than raising guidance. Unfortunately, the streak was extended to nine quarters this season, as companies lowering guidance outnumbered companies raising guidance by 4.5 percentage points. When will companies finally offer up positive outlooks on the future? GLI USA STANNO PERDENDO forse LA PARTITA? 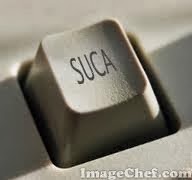 ...troppo tardi....tanto per dire qualcosa..